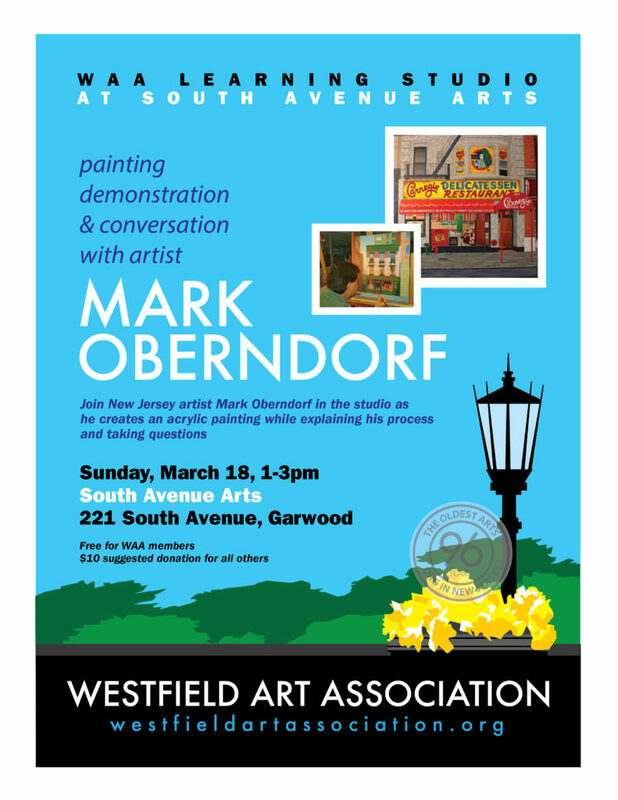 On Sunday, March 18, the Westfield Art Association (WAA) takes you into an artist studio to present a live painting demonstration and conversation with artist Mark Oberndorf. 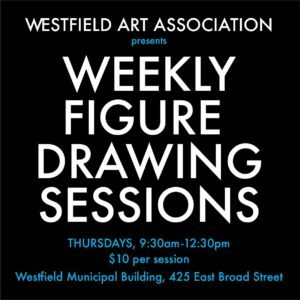 Don’t miss this exciting WAA Learning Studio at South Avenue Arts, where artist Mark Oberndorf will be creating an acrylic painting while explaining his process and taking questions from participants. You can’t get closer to the art than that! South Avenue Arts, an art school and studio, is located at 221 South Avenue in Garwood ,directly across from Home Depot. Our event will run from 1-3pm, with refreshments served. Free and open to all (donations gladly accepted from non-members).